What if nutrition labels would link energy to activity? Could we change behavior by providing easier to understand information? 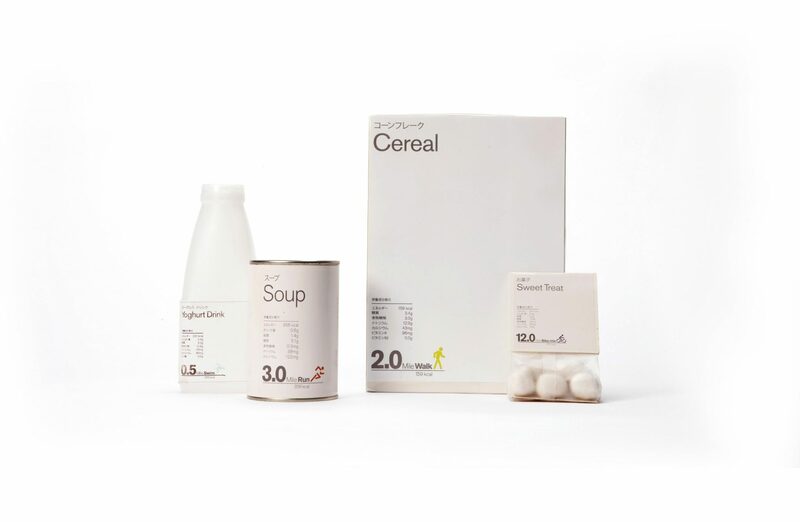 This concept for Tokyo Design Week explores the idea of visualizing the amount of activity needed to compensate for one serving of a specific product. Calories are being converted into distance to swim, run, or cycle. This work was shown in Tokyo in 2009.